The pillars of digital marketing are: SEO Strategy, Content Development/Strategy, and Social Media Strategy. They’re interdependent and very powerful when they work together. This post is about how to develop a social media strategy — easy to digest, giving you the overview you need before you go about Tweeting, posting and liking. Without a good strategy, it’s almost certain you’re wasting your time. No need for that. I’ve got a series of blog posts to help you build your value proposition, understand your prospects, create great content, use persuasive copywriting, build your brand, and optimize your sales conversion funnel. Let’s begin with social media! 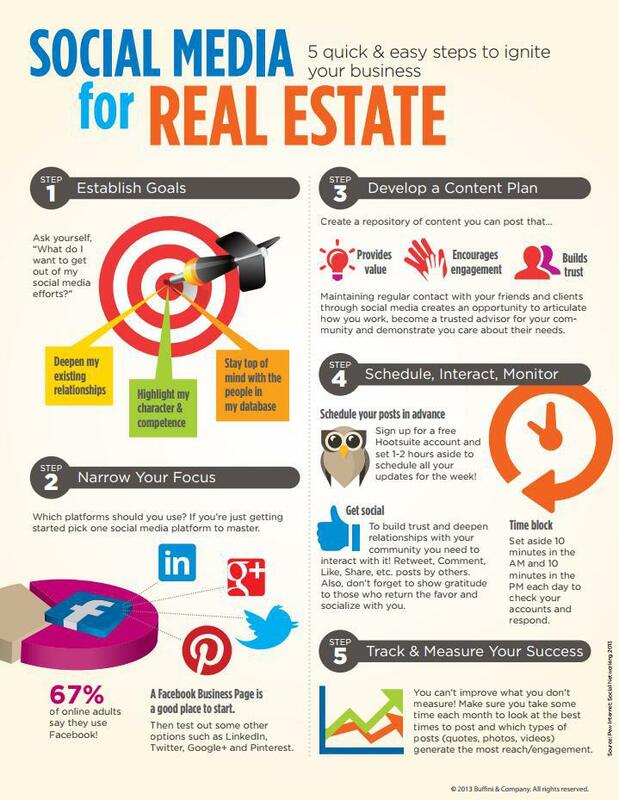 This graphic shows realtors are using social media, but are they using them together with content and SEO as a strategic force? This graphic courtesy of Adrian Bishop of Overseas Property Professional. 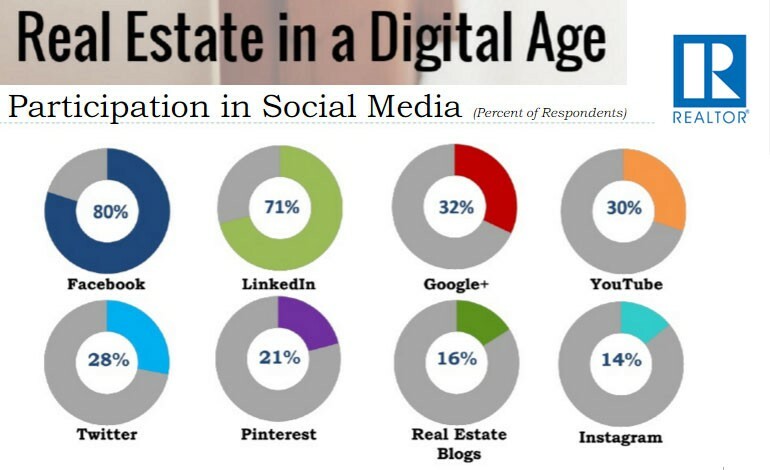 Read his excellent account of how realtors are using social media today. 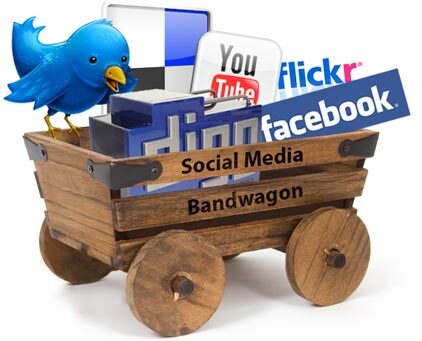 Social Media is the fastest growing marketing channel because it’s free (unless you’re using advertising), allows you to be very creative, is fun, and has tremendous reach into customer’s lives. Without a strategy, you’re very likely to get confused and frustrated with social media. This complicated medium needs a strategic path. It’s simple really if you’re a good marketer who can research, write, develop pictures and stories, network widely, and keep the conversation going. If not, hire someone who is into it, create a strategy, and get this going. Social media success doesn’t mean you have to go viral. A success is when you create prospects and engage with them, helping them understand your unique value proposition. A good example is the realtor targeting the young millennial buyer who rents right now, then establishing themselves as “the realtor for millennials” is the right strategy. The content and dialogue should be focused on the millennial’s beliefs, pursuits and values, and their current situation — student debt, need for low down payment, renting, mobile, with parents who may have money to invest. Of course, you already know this. There has to be a bottom line goal. When marketers talk about brand impressions, they’re basically admitting that they can’t create a customer via social media. As Google chokes out its customer base via its algorithm, only social media will be available for SMB marketing campaigns. Social media is already producing customers, so we might as well jump on the bandwagon and start making real money with it. To use social media effectively, you’ll need a simple strategy to help you select the best channels and use them to gain real results. You don’t do social, you must be social. 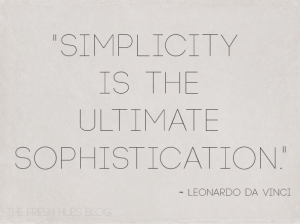 That’s the key mindset as you head into social channel use. The process isn’t all that difficult, however you may want to hire a social media expert who you can bounce ideas off of. It is a partnership. Research shows that most businesses use an ad hoc social media strategy (shotgun or hit and miss approach) while a small portion use a defined strategy (rifle or narrow path approach). Either way, it should be driven by strategy not tactics. Some businesses get too narrowly defined to the point where their content and conversation is stiff and unattractive. It’s better to be human, personable, generous, expressive, and engaging since social media is really not for business — it was meant for everything that isn’t business. If you’re a realtor, mortgage agent, landscaper, insurance company, mortgage broker, construction services provider, dentist, plumber, medical services provider or other professional services provider, you can post material about almost anything that your prospects and customers find interesting (opinions, reviews, statistics, photos, video, infographics, news commentary, personal stories, sports and cultural events, neighbourhood events, etc). 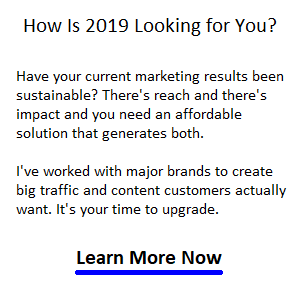 If it’s relevant and gets your messages across, you connect in a deeper more relevant way with your prospects. And by messages, I mean your significant, compelling, unique value proposition. If you don’t know what that is, you can hire someone like myself to research and develop it. I can help you create a picture of more value and a brand that exudes trust, generosity and sharing; Excellent traits that customers like. Set your goals and objectives: how many followers do you want for each channel, and ideally what action do you want visitors to take? (e.g., sharing an infographic or video, visits to your website, comments, and actual leads). Do you only want to make branding impressions or get them to download something or get them to ask a question? Which metrics will you use to evaluate performance of your social strategy? Choose the most relevant channels: B2B marketers will likely choose Twitter, Linkedin, and Facebook. B2C may choose these plus Pinterest and Instagram. Who is your customer target? You’ll need to create a customer persona — a description of your ideal prospect, what they believe, what they do, and about their online habits. Are they older and sophisticated buyers who are all business, or young millennials who have broader interests? What content will you need to curate or develop that your prospects will feel passionate about? Your products may be boring and your value proposition might not be the most exciting. This is where imagination comes in handy. How will you interact with them? What will be the tone of your interaction? Will it be friendly, humorous, very helpful, participative, or a more detached, corporate voice? A thorough strategy would drill down into the details of value proposition, content, interaction, and execution. Good luck with your social strategy. When you’re ready to launch your presence with digital marketing, then it’s time to give me a call at 416-605-7026.